Naiise is probably one of the most recognisable retailers among the young and trendy in Singapore. Stockists of signature products from some of the most popular local designers, they have grown to be a favourite among locals alike. 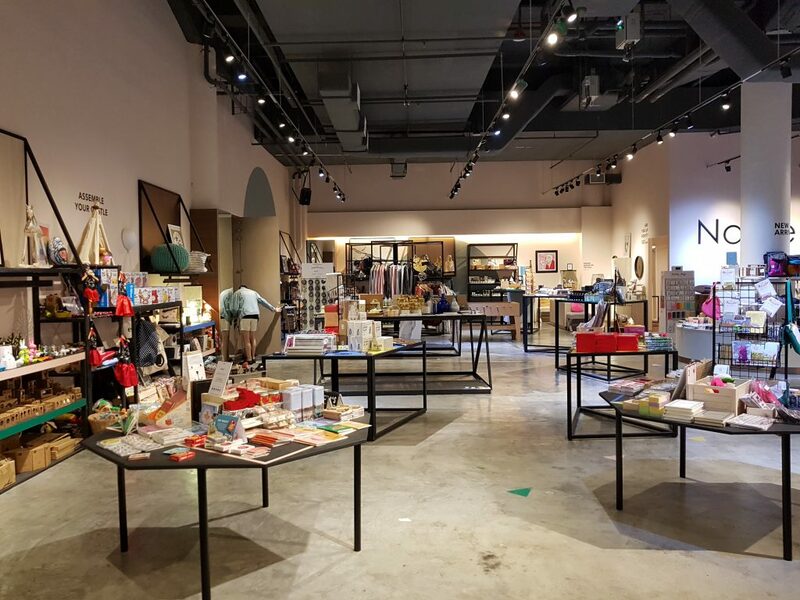 With retail outlets that spans among several shopping malls in Singapore, they have grown past their image of just being an online platform and a familiar face of pop-up stores. At the start of this week, they announced another first for themselves, launching a vending machine that is able to dispense some of their most well-loved products. Located just outside Kallang Wave Mall, this was done as part of the current Women’s Tennis Association (WTA) Finals happening at the Singapore Indoor Stadium this week. 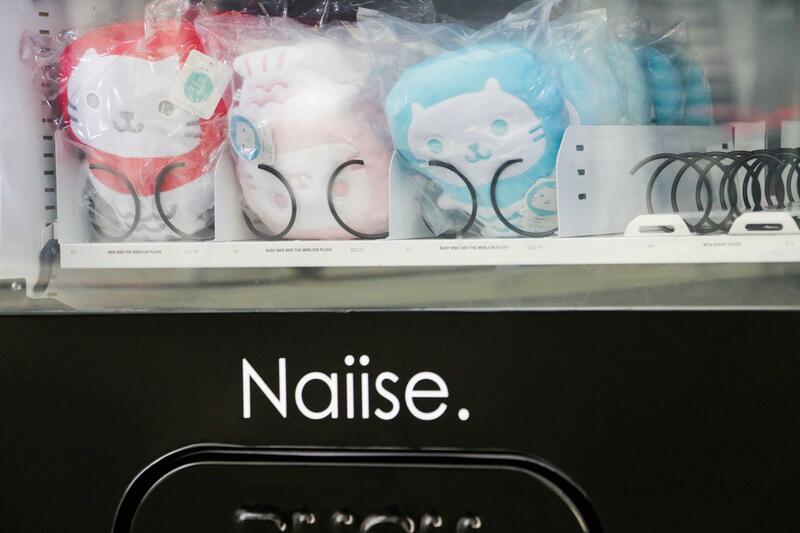 We caught up with Naiise, to find out what motivated them to venture into this new world of vending machines. 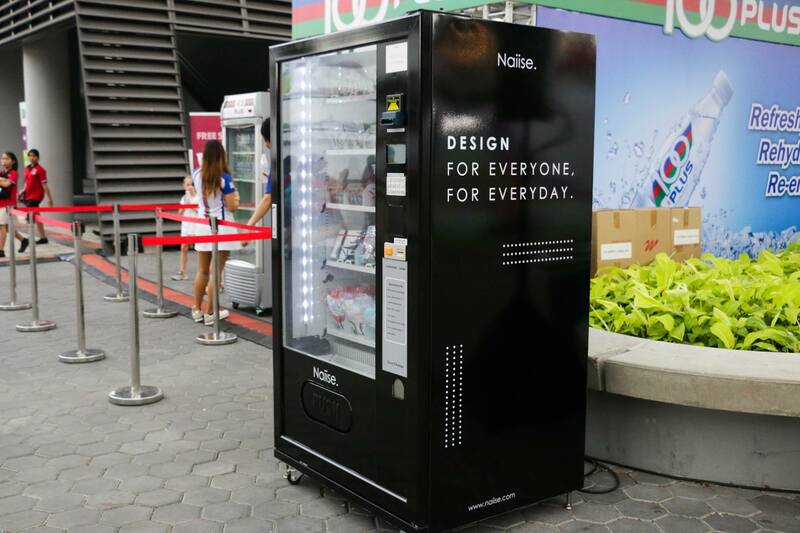 Probably the best answer as to why Naiise is using a vending machine now probably lies in the motto, “Design For Everyone, For Everyday”. It has always been a goal of theirs to make design more accessible to everyone, and to reach out more people offline. They were also brainstorming ways in which they could leverage on new retail technology to provide greater shopping convenience to not just local fans, but also tourists using a more novel approach, upon seeing that many tourists do actually patronise their stores. What started out earlier this year as a way to reach out to this audience is also creating something that provides existing customers who want to purchase a Naiise product on-the-go a reality. It also helps that a vending machine seemed like a fun and innovative approach to test out, and it is something that most retailers have not fully explored. It’s also hoped that with the interest generated from this, it could also potentially help the designers, makers and artisans that Naiise work with be able to reach out to a bigger audience. And excited they were – the designers, makers and artisans, that is. General sentiments have been very positive from the start, and they were more than happy to be a part of this little experiment. However, what Naiise had to contend with instead were the considerations of what could be put into the vending machine. Factoring decisions such as the amount of products, the type of products, and of course, the size of the products, make it a tricky challenge to fully represent and accommodate the thousands of products and designers that Naiise represents on an everyday level. They are keeping tabs on consumer impressions too. So far, the feedback that they have received through social media have been encouraging, with people saying that the vending machine is a cool thing to have. Naiise is also taking down notes so that they can improve these machines for the sake of all their partners, and are hoping that this exciting project is a way of reaching out to different customers in a different and non-traditional approach. Having the vending machine at the WTA Finals is just the start. Working closely with the Singapore Tourism Board, Naiise is constantly finding ways to champion and promote local talent, with international events often being the perfect stage to trial new retail ideas and help local products reach new audiences. 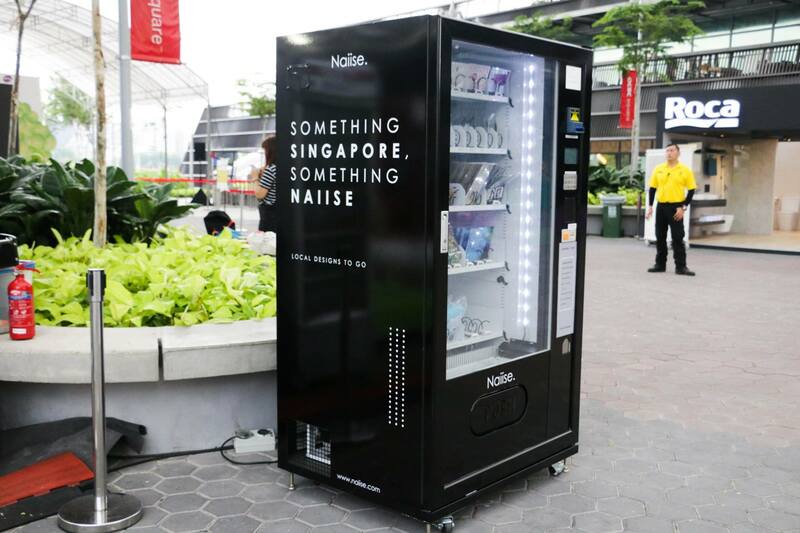 When asked if Singaporeans can expect Naiise vending machines near us outside of such events, don’t fret, as they’ve revealed that they’re considering it. If the response is encouraging, and when they have learnt enough from this experience, it is definitely a future that they hope will happen in time to come. Still, they feel that Singapore is still quite far behind, unlike the Japanese, when it comes to buying products from a vending machine. They are still hopeful, though, that if people here were to accept and adopt this shopping method, the potential for it to become a norm is there. However, even though vending machines can be convenient and cost-effective, they can never replace physical and online stores. 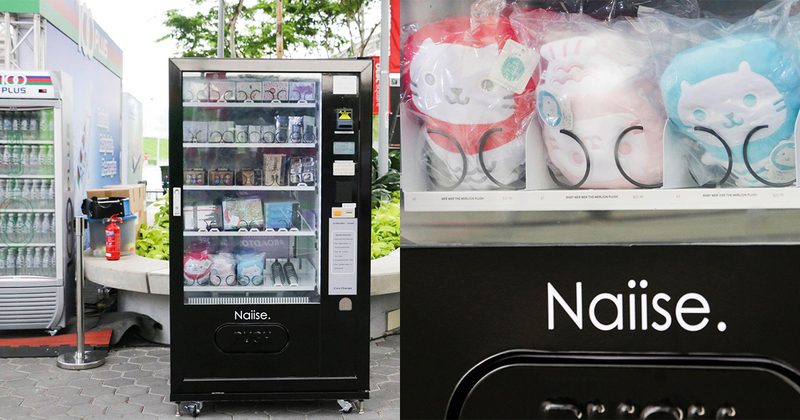 For Naiise, the vending machine is more of a complement to what they currently have on offer. Finally, What’s In Store For Naiise In The Future? If you are a fan of the Naiise Christmas pop-up store, you will be glad to know that they are currently in the midst of organising it again this year. Expect it to be held in a “destination location” and with plans for some feel-good community activities and events as part of its Christmas festivities. Of course, they will also stock the pop-up with awesome gift ideas should you need it. Lastly, we asked if there were any big plans for the many fans of Naiise. They stopped short at saying that they have “pretty big plans ahead” and will let us know as they come. Sound mysterious, but knowing Naiise, it’ll definitely be worth the suspense. 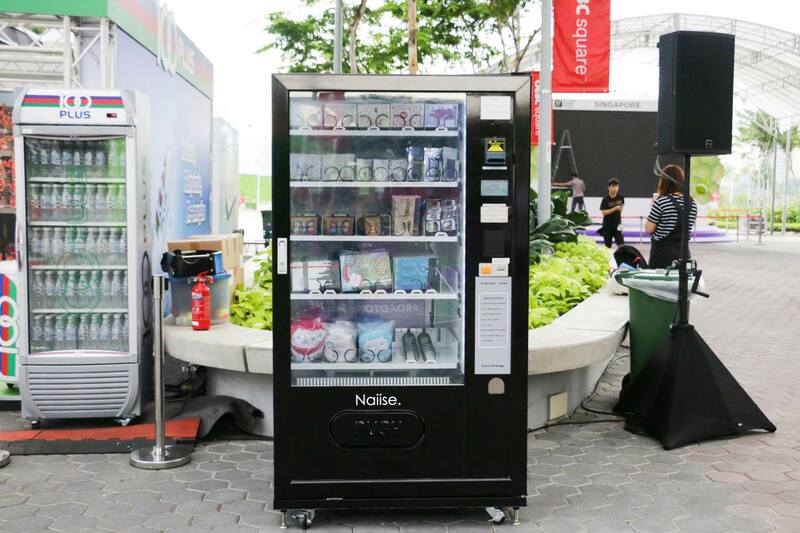 In the meantime, if you want to check out their one and only vending machine, head on down to OCBC Square from now until this Sunday, 30 October.